Product prices and availability are accurate as of 2019-04-19 22:28:38 UTC and are subject to change. Any price and availability information displayed on http://www.amazon.co.uk/ at the time of purchase will apply to the purchase of this product. These new PRO ESC's use the SILABS F396 MCU which runs at 48MHz, which is much faster than on the original Little Bee 20A ESC, which means that the new Little Bee 20A Pro ESC will provide a faster and crisper response. So now you can get those sought-after low looptimes. 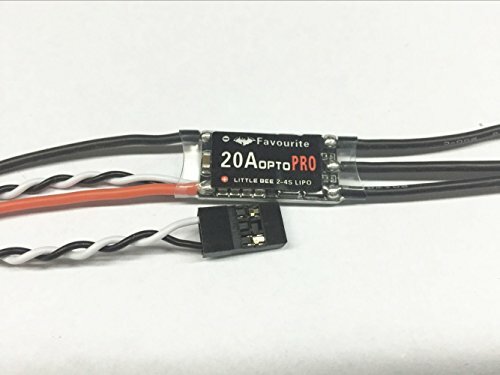 The 20A Pro version also have better support for those high KV motors, eliminating any desync problems. The Little Bee ESCs arrive factory-flashed with BLHeli firmware, supporting OneShot125 and damped mode to give ultra fast throttle response. For those than don't know, BLHeli is a next generation firmware which looks set to take over from the dominance of SimonK firmware. BLHeli offers great new features like OneShot125* and Damping Light. OneShot125, simply put is a feature that lets your flight controller communicate with your ESCs much faster; the result being your multirotor can respond much quicker to commands. On the other hand Damping Light is a sort of active breaking. With normal ESCs when you reduce the throttle, the motor will only be slowed down passively by the drag of the props. With Damping Light enabled, the ESC will act like an electronic brake to actively reduce the motor speed. Again, this feature makes for a much more responsive and stable multirotor. While OneShot125 and Damping Light are the killer features of BLHeli, there are other benefits. 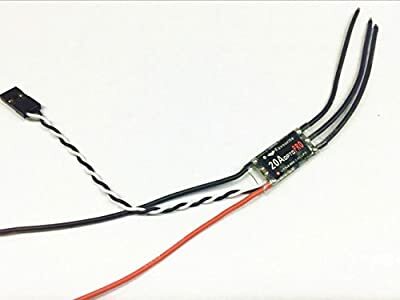 For example, you can configure the ESCs to sound a beacon if they sit idle for 10minutes, which might just help you find your racing quad if you crash it in a field of long grass.